"Three River Shilohs resides along the Columbia, Snake and Yakima rivers in rural Washington state. Our Shilohs are raised in our home, and are both members of our family and working dogs. All our Shilohs work as therapy dogs in our counseling business, and are trained as service dogs. We train our dogs ourselves, and are members of the Columbia Basin Dog Training Club. 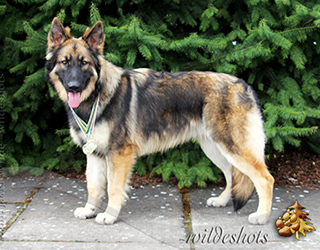 Our Shilohs have won many honors in the show world, including Grand Seiger, ISSR and NSBR Puppy of the Year, Grand Victrix. We helped create the PNW Shiloh Shepherd Health Initiative, and loan out holter monitors to any Shiloh from any registry. Health testing is the way to improve our breed! Our dogs are health tested, including DM, EPI, hips and elbows, heart, IVT, CERF, and overall blood screening. They are also DNA registered with UCDavis."